Whether you're a regular at your local gym or like to run a few miles here and there, chances are you have a specific pre-workout routine to get your body primed and ready to go—I know, for example, that I feel my most motivated early in the morning on an empty stomach, and I'll knock back a few arnica capsules to stave off soreness and inflammation before I even begin to break a sweat. But that's just me—some might love to fuel up with a protein shake, while others swear by a pre-gym cup of coffee. Keep reading to see which practices (and foods) to avoid before a workout. … stretch, use a foam-roller, and maybe pop some Arnica. A couple of recent studies indicate that taking painkillers to counteract inflammation might ultimately be doing you more harm than good—not only is it taxing on the kidneys, but it can slow muscle regeneration, which ultimately leaves you weaker. While research does show that caffeine can help boost a workout by stimulating your central nervous system, most wellness experts advise against energy drinks as a rule—they tend to be full of sugar and chemicals, which ultimately isn't doing your body any favors. Consider swapping your Red Bull for a cup of coffee instead—it's full of antioxidants, and offers the same blast of energy without any of the weird side effects. (Scientists have even found that it can make you enjoy your workout even more, and make you less susceptible to cravings later in the day.) And you already know this, but we'll say it anyway: Drink plenty of water, too. … opt for a lean, protein-packed snack. While a smoothie might seem like a perfectly healthy option, it can be a recipe for a sugar crash mid-workout. You'll want to fuel up with something that's less carb-heavy and more balanced in protein and fat—greek yogurt, a handful of trail mix, and eggs are all great options, according to experts. … wash your face and layer on a lightweight moisturizer. 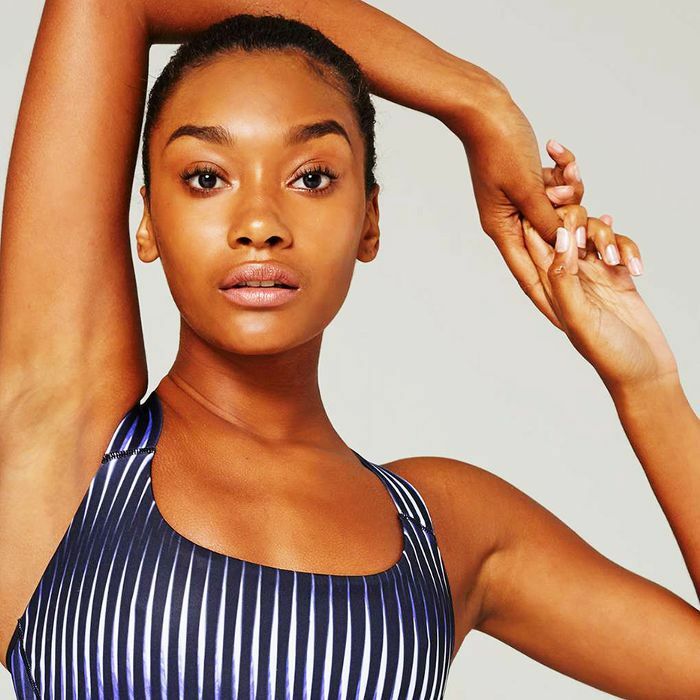 As far as we're concerned, a healthy complexion certainly factors into any fitness routine—especially since the wrong approach can lead to stubborn breakouts. If you want to wear foundation, skincare guru Renée Rouleau advises opting for something lightweight and oil-free—and wash your face first. If you're going barefaced, use a toner after cleansing and apply a light moisturizer.